Crowdfunding proceeds have reached record highs, according to the latest Crowdfunding Monitoring report issued by the Swiss based Lucerne University of Applied Sciences and Arts. 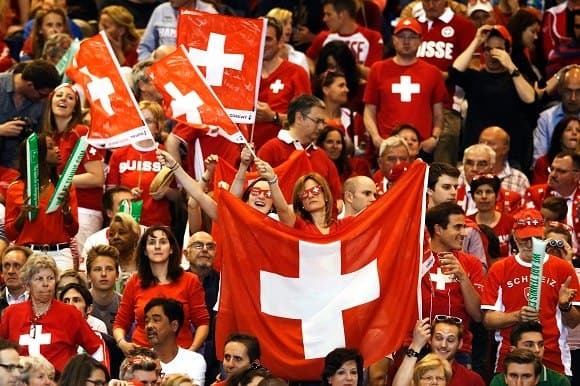 The Swiss crowdfunding market reached a record high volume of 374.5 million Swiss francs (CFH) in 2017, totaling nearly three times more than the previous year when about 100 million CFH was raised. In the past eight years, more than half a billion Swiss francs have been collected across the national crowdfunding market. According to the researchers, over 160,000 people backed crowdfunding projects in Switzerland in 2017. Crowdlending, in which lenders fund a loan of a business or individual and receive a share of interest payments proportional to their contribution, led fundraising totals as a segment, raising CFH 186.7 million, representing a 239 percent increase over totals for 2016. Crowdinvesting also saw triple digit growth, raising CFH 135.2 million or 245 percent more than the previous year. Reward based crowdfunding, like Kickstarter campaigns — where contributors get access to copies of an artistic print, book, or product, along with purely donation based crowdfunding — achieved a volume of CFH 29.1 million. Invoice trading, where businesses sell their invoices at a discount to access liquidity, raised CFH 23.5 million. The report suggests that blockchain-based projects are slowly making their way into the Swiss crowdfunding market, with Swisspeers using smart contracts to transact loans between businesses and investors on the Ethereum blockchain, while Wemakeit has plans to launch a completely blockchain based crowdfunding platform. The report concludes that investment by larger businesses and institutional investors is becoming more common across all areas of crowdfunding, particularly in the crowdlending, invoice trading, and crowddonating segments. The authors believe the Swiss market to be between two and three years behind the more developed US and UK crowdfunding markets, but suggest it may close the gap more quickly than that. The report concludes that investment by larger businesses and institutional investors is becoming more common across all areas of crowdfunding, particularly in the crowdlending, invoice trading, and crowd-donating segments. The authors believe the Swiss market to be between two and three years behind the more developed US and UK crowdfunding markets, but suggest it may close the gap more quickly than that.